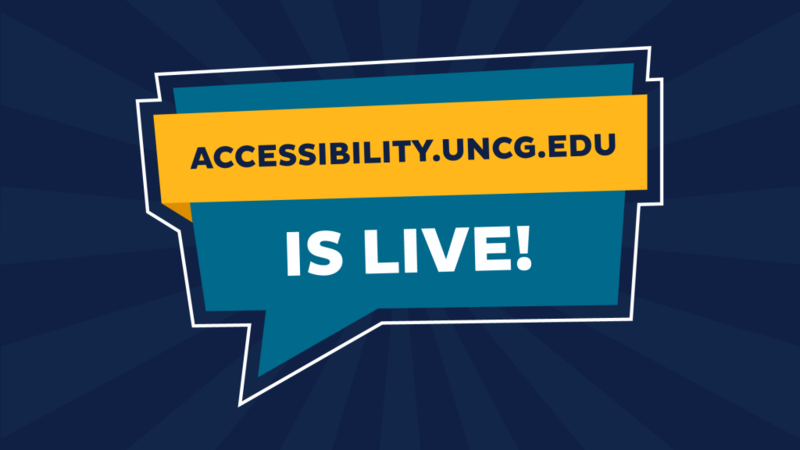 UNC Greensboro invites you to visit its new website, accessibility.uncg.edu. This website will serve as a hub for web accessibility support services and educational resources for faculty, staff and students. Within the site, you will find detailed, practical how-to guides for making various types of online content accessible, checking existing materials for accessibility, and useful resources such as a syllabus statement about accessibility. You will also find forms for requesting assistance and ordering captions, as well as relevant laws, guidelines, concepts, and on-campus resources and contacts. This website reflects UNC Greensboro’s commitment to accessibility. For questions and/or feedback regarding the site, or to schedule a session to learn about the site’s key features, contact UNCG Accessibility Coordinator Melanie Eley at accessibility@uncg.edu. You are invited to participate in the “Applying the Quality Matters Rubric” face-to-face, 1-day workshop at UNCG, which will be taught by certified Quality Matters instructor Dr. Racheal Brooks of NCCU. In this workshop, you will learn to apply the Quality Matters principles and rubric to online courses. UNCG Online has organized this workshop for UNCG faculty and staff. The Quality Matters workbook, handouts, and lunch will be provided. There is no cost to you. Who: UNCG faculty and staff, especially those involved in online courses. Limited to 30 participants. Register on https://www.qmprogram.org/ by April 1. Please use these registration instructions. When registering, you will see multiple sessions scheduled; be sure to select the one dated “04/12/2019” to be held at the University of North Carolina at Greensboro as shown below. The Spring 2019 webinar series for “Online Learning & Innovation” and “Research & Application” have been scheduled. These are 30 minute webinars, recorded in Webex Meetings, on online learning and library topics of interest to UNCG faculty, staff, and graduate students. If you have not used Turnitin and would like to know more, visit the general information site here or contact me at derice@uncg.edu. See the latest CVPA tech news here. 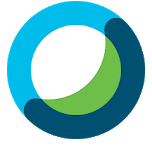 ITS has rolled out several upgrades to Webex services for all users at UNCG. You might have experienced intermittent issues caused by a service disruption affecting the performance of Turnitin and TurnitinUK. ITS has scheduled several Intro to Webex workshops for the Fall 2018 semester. There will be two sessions online (via Webex) and one in-person. To register for a workshop visit this ITS page. This workshop will prepare users to use Webex for meetings both within and independently from academic courses at UNCG. Topics covered will be account activation, accessing the Webex portal, scheduling meetings, and basic meeting hosting in both Webex Meetings and Webex Training. PLEASE BRING HEADPHONES! 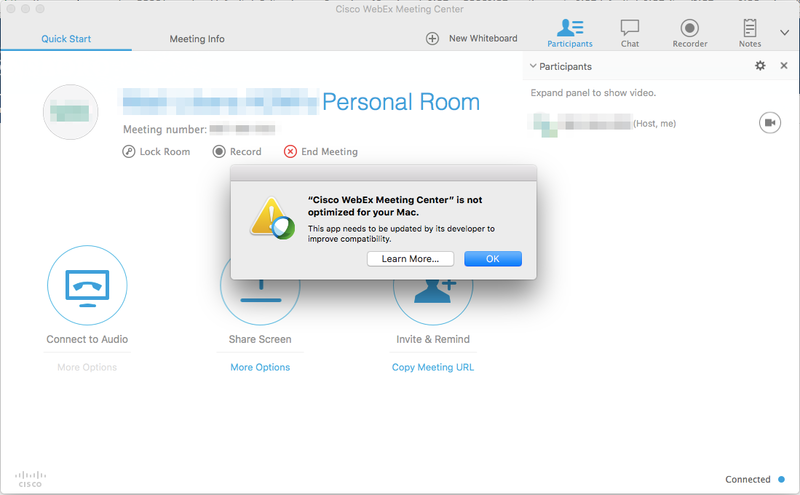 MacOS users of WebEx may begin to see a warning message when opening a WebEx session. Cause: Mac OS 10.13.4 is now starting to warn users about applications that use 32-bit architecture, instead of the preferred 64-bit. Resolution: This is simply a warning message, and by clicking “OK” users can continue using Webex normally. There is no cause for concern and will only affect users on Mac OS 10.13.4. This is an issue that Cisco acknowledges and is working to fix. 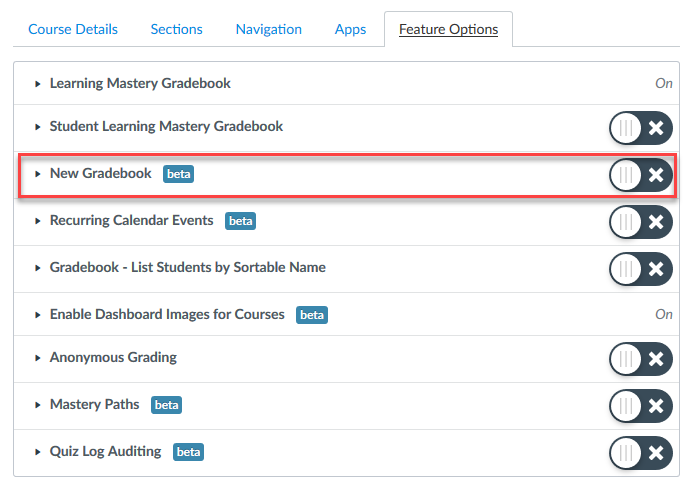 Instructure has enabled a new Gradebook with added functionality and features. While faculty are able to access this new Gradebook, please note that the feature is still in beta. Faculty may enable the new Gradebook (follow the steps below) but note that Instructure may still adjust features before final release. This Gradebook will eventually replace the existing Gradebook. A transition date has not been set by UNCG ITS. NOTE: You cannot switch back to the current Gradebook if you enable late policies or even manually adjust the labels in the Grade Detail Tray. Once you have done one of these two things, the feature option in the course will not allow you to return to the old Gradebook. Late policies do not transfer to the old Gradebook. In affected courses, the course-level feature option may take up to 1 hour to display the status change. If you currently use the gradebook export/import functions or treat ungraded as zero, it is recommended that you do NOT enable the new gradebook as these functions are not yet available. View the new Gradebook guide to assist you in the transition. Also visit the New Gradebook FAQ. In your course, go to Settings – click the Feature Options tab – then click the toggle for New Gradebook. The University Teaching and Learning Commons (UTLC) has opened registration for their Online Learning Level One, second Spring 2018 session and Summer 2018 session for faculty. Designing an online course can be a challenging process, but it does not have to be. That’s why we created Online Learning Level One. Together we can help you create a pedagogically-sound, technologically-strong online course for an upcoming semester. This 8-week online course will give you guidance on how to start and complete the online course design process. A facilitator will give you feedback and suggestions every week of the course. After you register below, you will receive notification that you have a development site in your Canvas account. This development site is where you will create your online class. This course has two upcoming start dates. Let us help you get you ready to teach online this summer. Let us help you get ready to teach online during the 2018-2019 academic year. 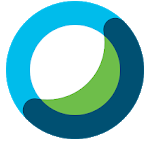 For those of you who use Arc, in the latest release, Instructure has enabled webcam capture for creating local video for use in the Arc Video Library. Read more about this new feature in the Arc Release Notes here. Please note that webcam capture is limited to the Chrome and Firefox browsers currently. If you have additional questions please contact Daniel Rice, derice@uncg.edu.